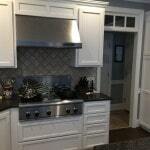 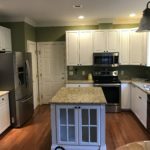 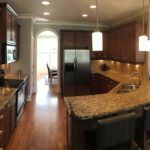 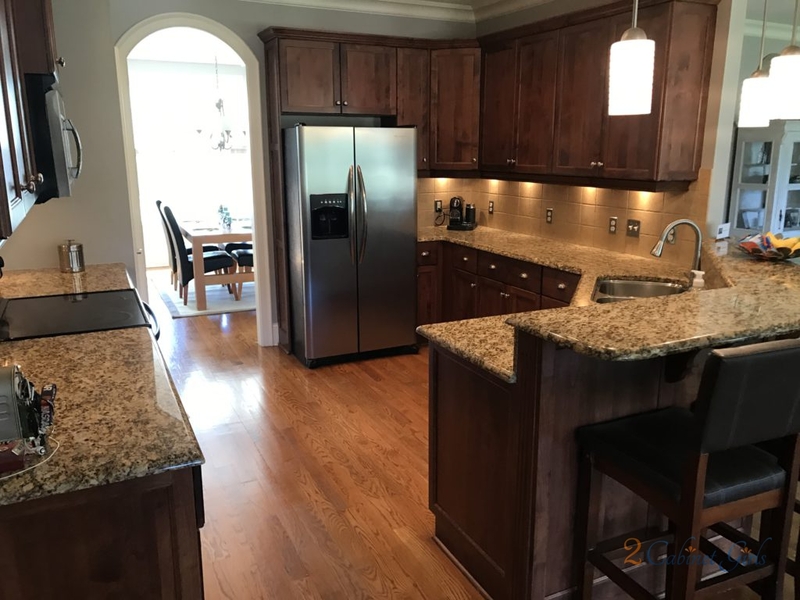 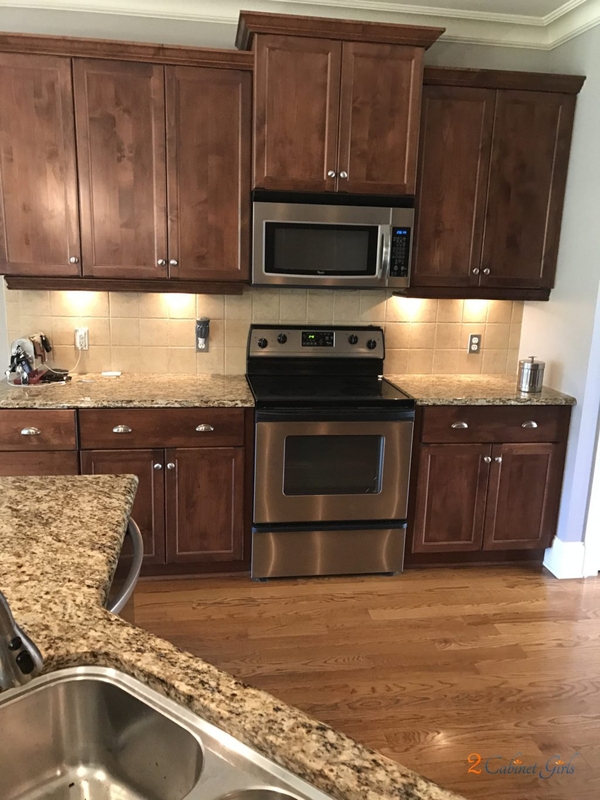 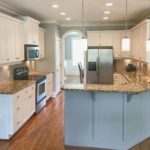 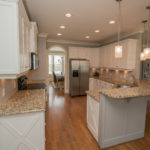 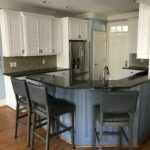 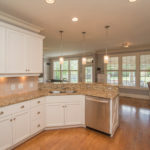 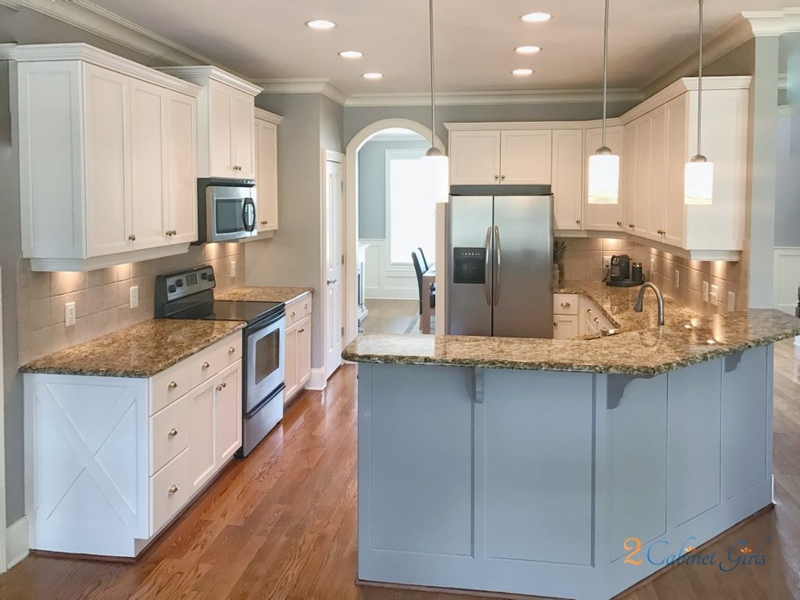 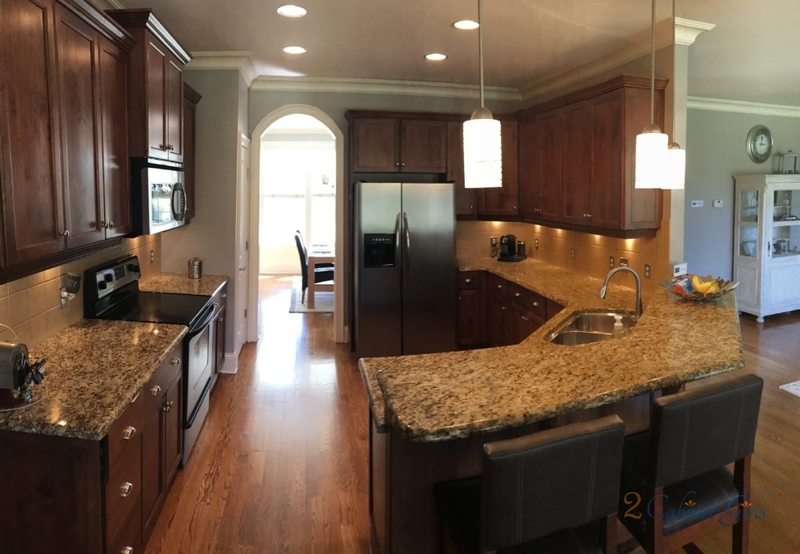 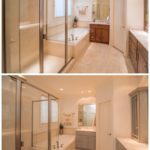 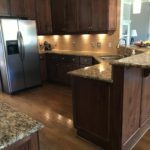 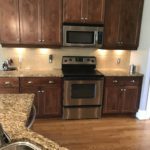 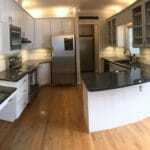 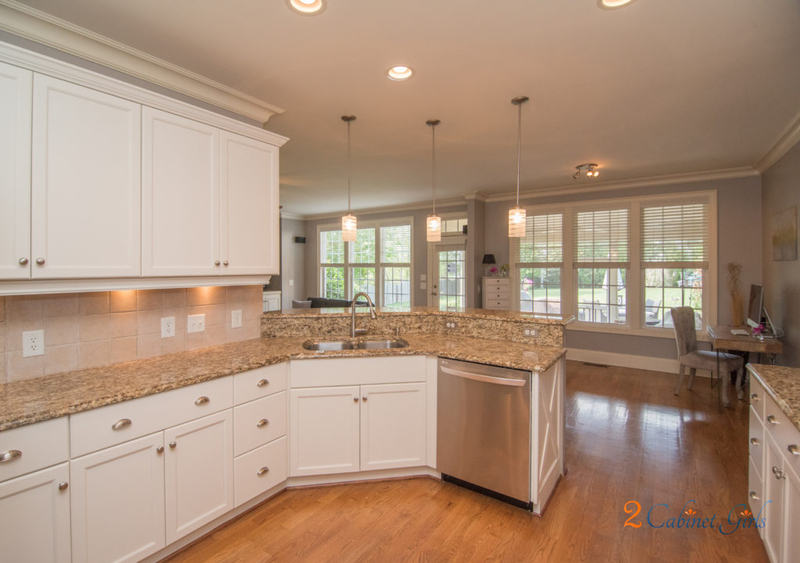 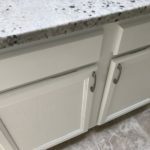 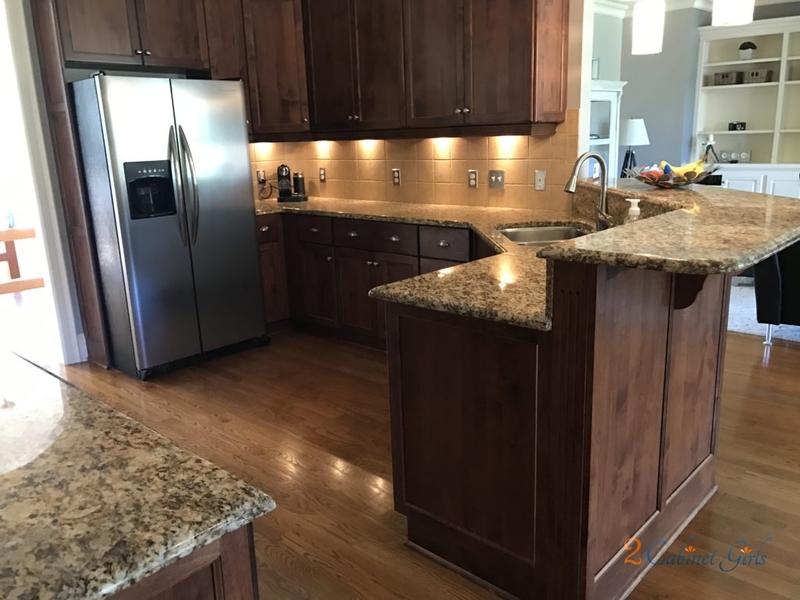 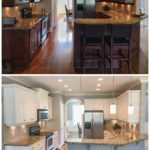 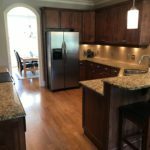 This kitchen has been on the market for a couple of months and our homeowner felt that the kitchen might be what’s holding it back and keeping those offers from rolling in. 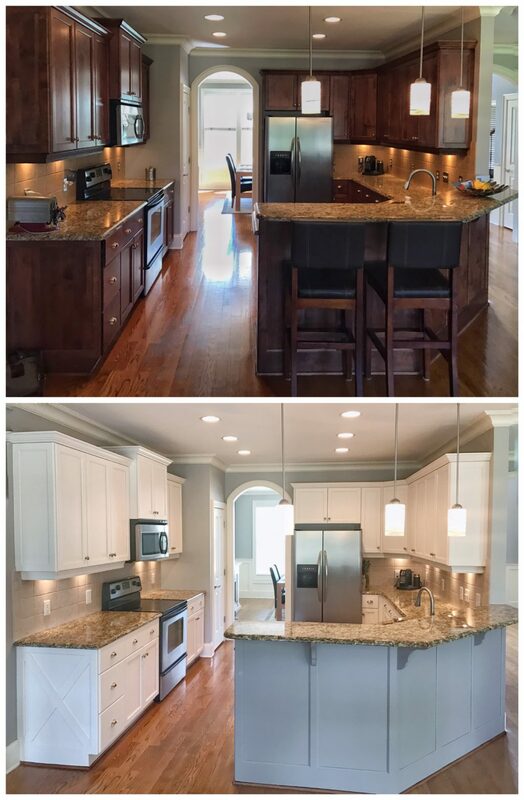 So we injected some light into the room with Dover White on the cabinets and Drifting Sand on the back of the peninsula. 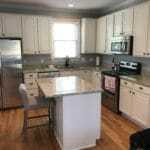 Now the space feels fresh and new and a million times brighter than before! 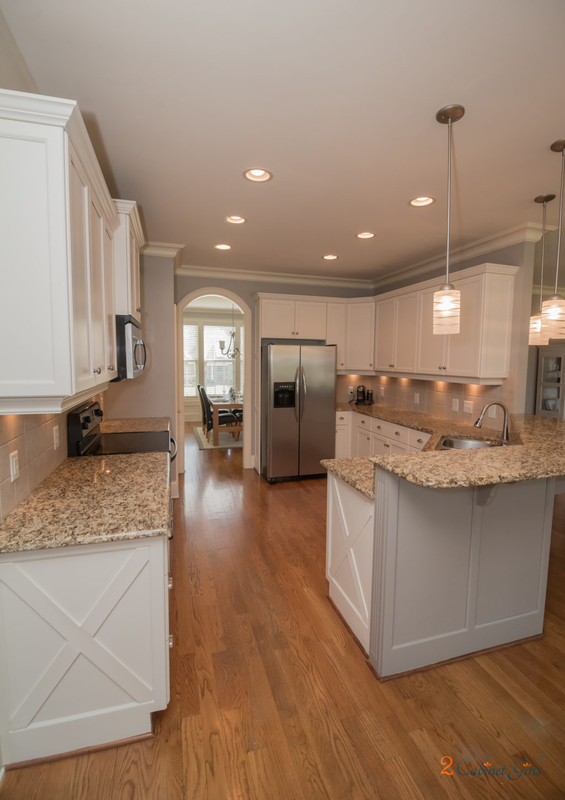 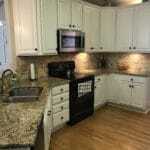 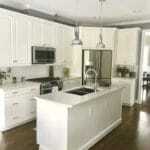 Check out the special detail our handy homeowner added at the end of the lower cabinets – a barn door detail.